I figured why not just dive headfirst into an SCP? I'm not the best at wrapping up a full narrative, so instead of a tale or something, I figured why not just dive headfirst into an SCP? What could go wrong? I'm a manufacturing engineer by day, but I've always had a deep urge to write creatively. I've never been good at the sort of smooth, fluent language or ideas that make a good short story, but the somewhat terse, structured, almost scatter-brained layout of SCP's has always struck me at something I'd be decent at laying out. I also still really enjoy working with figures and numbers, which is one thing I'm looking for feedback on… I've already done a lot of the math involved for this idea, and the numbers are "real"… How in depth is too in depth? You'll see. The strange properties of the object is that it orbits in the thick lower atmosphere with alarming regularity. 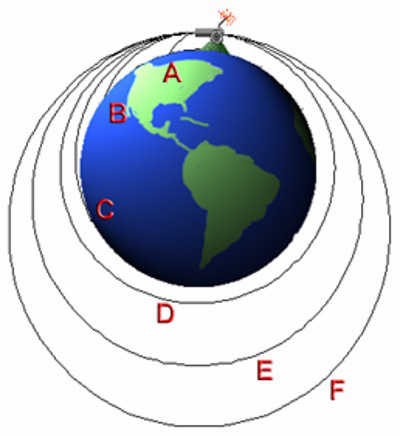 The orbit also does not process as the earth rotates. Its orbit passes over the Westernmost portion of Northern Argentina, through Central Peru, over the wouthwestern USA, and out across the Pacific, to the East of Japan, south of Africa, and back around to Argentina. Sounds kinda boring? Well it is, in reality. But I want to include a LOT of detail about the reasons the thing was discovered in the first place. Like punching a hole through a plane, and possibly vaporizing a mountaineer climbing the Northern peak of Huascarán Norte in central Peru in very early 1970 (date important for later). The thing passes pretty close to, but not quite exactly at the level of the north peak of Huascarán. This is one of the highest peaks in the Andes, and certainly the highest peak the object passes by quite a bit along its entire orbital path. It might be deduced that the object possibly began its journey there. Maybe some spectral analysis of the object can show some form of gunpowder residue, leading to the hypothesis of a re-creation of the classic experiment. A couple hypotheses of the locale discrepancy could be due to a large earthquake in May 1970 causing a massive landslide on the North peak (which actually happened), altering its peak height and geography. Where's the cannon? Ongoing searches for the originating impulse device (tentatively labeled SCP—1) have drawn no conclusions, and found no clues. I also have a couple ideas for some "experiments" on the object, like trying to rendezvous with it, which obviously is insanely difficult since it is hurtling around the globe at like mach 25 (25.48795 actually), and a couple others trying to affect the objects trajectory… (Insert something here about a 4" thick titanium plate hurtling into the Pacific at tremendous speed and annihilating a fishing trawler or something) maybe something with lasers. Maybe someone trying to tie a tether around it with a high-speed wind turbine and a microwave power transmitter? Free energy anyone? Obvious crash and burn incoming. It could be linked to many UFO sightings in the southwestern USA, due to it's glowing appearance from all of the heat build-up. Containment in the traditional sense is impossible, but agents embedded into various hubs of aviation can keep a sort of "rolling no-fly zone" going. It's flying at roughly 22000 feet, which is much lower than the typical ~40000 foot cruising altitude of commercial aircraft, so it isn't TOO big of a deal. There could be a list of accidental run-ins and incidents with things like high-altitude balloons, or secret military aircraft. Also, the North peak of the mountain is rated "ED2+" (Extremely difficult, 2nd tier, the + denotes it is on the high side of that rating) on the International French Adjective system, used to denote the difficulty of a climb. Only one rating sits higher, "ABO" (Abominable difficulty), so keeping climbers away from the summit might not be too difficult. I've got lots of math into speeds, paths, air drag effects and energies, thermal gradients, etc. etc. SO?… Should I start whipping up an article? Also: A few technical questions. Would this be Safe or Euclid? It's pretty contained, and very predictable, so my thoughts go to Safe. How does one develop a "site" number without stepping on the toes of others? I'd like to give a name to the observation site. I've seen some articles that just use "Site 'SCP_NUMBER'", but that's kinda boring, and I'd like to possibly expand on this site in the future. All criticism or questions welcome. I didn't even know there was a recent posts page… This was literally my first post. Noted for the future! I'm sure it won't be the last time I end up using that. It looks like you've put effort into the physics and math, but this is pretty much an Anomalous Item. This is a "thing that does thing" which is mostly done in Series I. But more than 3000 anomalous objects are going to be boring and repetitive after a while, so the community standards have raised a lot. Most SCPs nowadays incorporates a story into each document through the use of addenda, exploration & interview logs, etc. I'm not saying that "thing that does thing" does not work anymore, but it generally requires a very interesting anomaly to hook the reader in. The anomaly you presented, frankly, is boring, and I doubt that a good narrative can come off it. So I recommend you to read some more of the newer SCPs, to see what the community expects. If you are interested in using narratives, you could check out this essay here. Take my researcher character, and spin this all into a tale. But it isn't worthy of SCP status. Dejection, disappointment, etc. And then I can still spin around and use this site and researcher for future works. I can make this work, I think. My problem will continue to be: I think this is incredibly interesting haha. With all of the background and analysis… I could read stuff like this all day. (I spend a lot of time reading analytical sci-fi novels, so…) I'll have to try and develop a style that's more in line with what the community finds interesting.